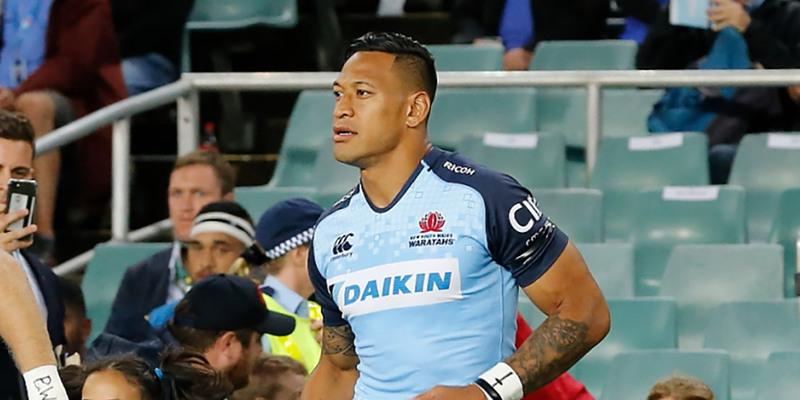 While the player has remained silent on the matter, Rugby Australia and the NSW Rugby Union confirmed in a statement on Friday that they had finally met with Folau in Sydney. It’s understood, however, that the devout Christian is prepared to face a code of conduct hearing before his four-year $4 million contract can be terminated. According to ESPN, Folau has told Rugby Union Players’ Association head Prataal Raj, that he wants to use the hearing to challenge Rugby Australia’s plan to fire him. International Gay Rugby (IGR), the global organisation for the world’s gay and inclusive rugby clubs, earlier welcomed the decision by Rugby Australia and the NSW Rugby Union to sack Folau. “On behalf of our gay and inclusive rugby community, we hope the decision made today sends a clear message to the world, that any kind of discrimination has no place in our sport,” said IGR Chair, Ben Owen. Folau previously ignited a firestorm in April 2018, when he posted on social media that, according to “God’s plan”, gay people faced hell. He avoided sanctions at the time but was warned by Rugby Australia to avoid making similar comments in future. “It’s understood, however, that the devout Christian is prepared to face a code of conduct hearing before his four-year $4 million contract can be terminated.” What makes him a “devout Christian”, more like a fundamentalist Christian. There is nothing about this man which makes him devout. He s a bigot, nothing more and nothing less.